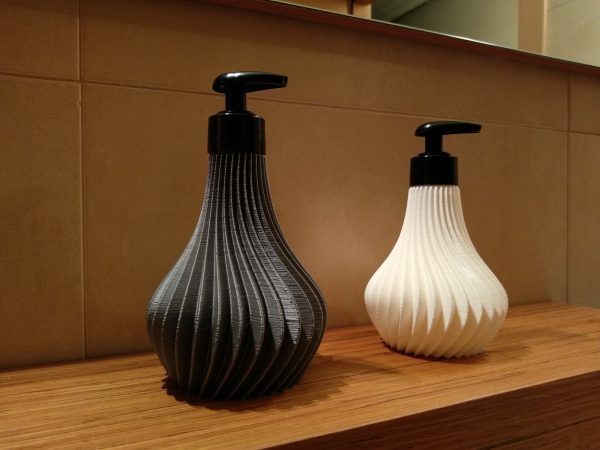 An easy to print soap-dispenser. There are two models in different sizes. You need a pump from a comercial soap reservoir. My design is focus in Mercadona brand soap (find attached a photo of the product) but probably similar products have the same pump. If not, you can adapt the thread of the model.